Funeral services for Harry Bell will take place Saturday at 1:30 p.m. at Eternal Valley Memorial Park. Details are available by calling Janet or Ed at 252-5500. 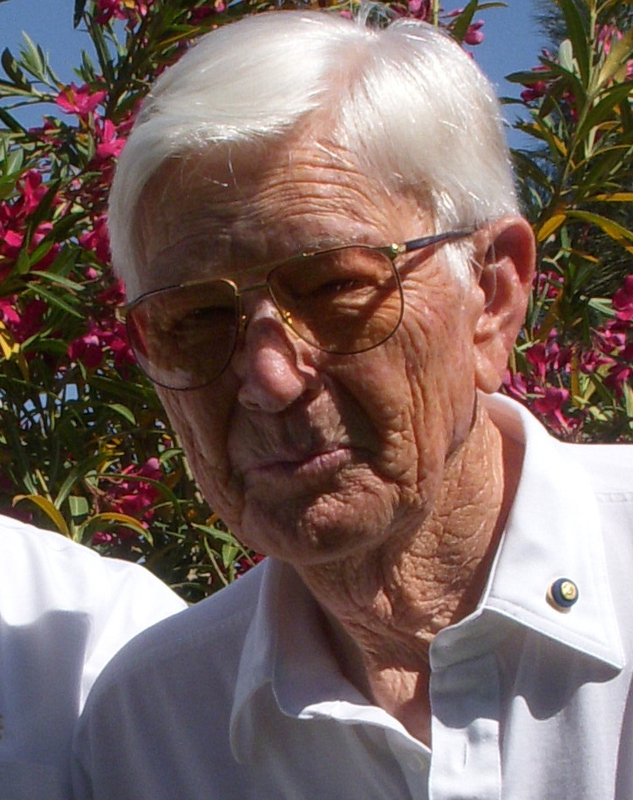 The Ventura County Coroner’s office has identified 2011 SCV Man of the Year Harry Bell as one of two victims in a two-seater plane crash near Piru. Although the plane has two controls, the 89-year-old Bell was considered the pilot. 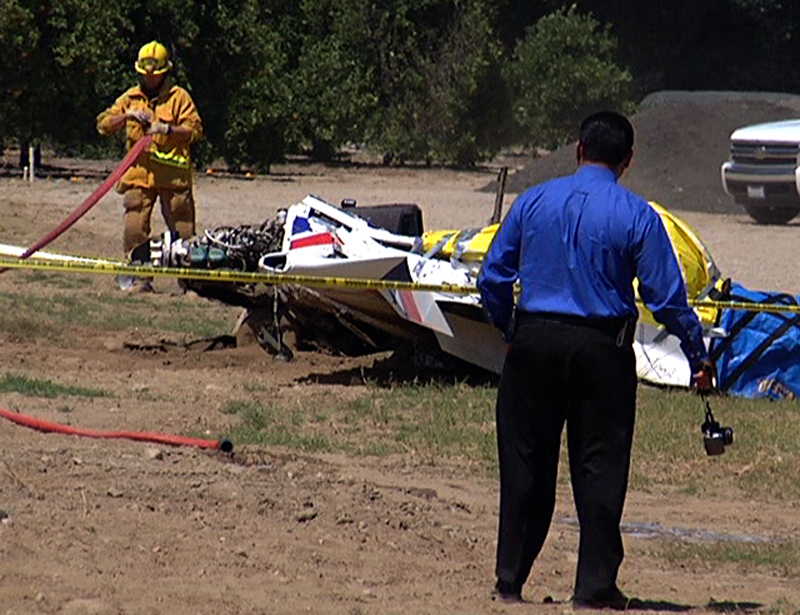 His co-pilot was identified as 59 year-old Michael Dwain Boolen of Pacoima. 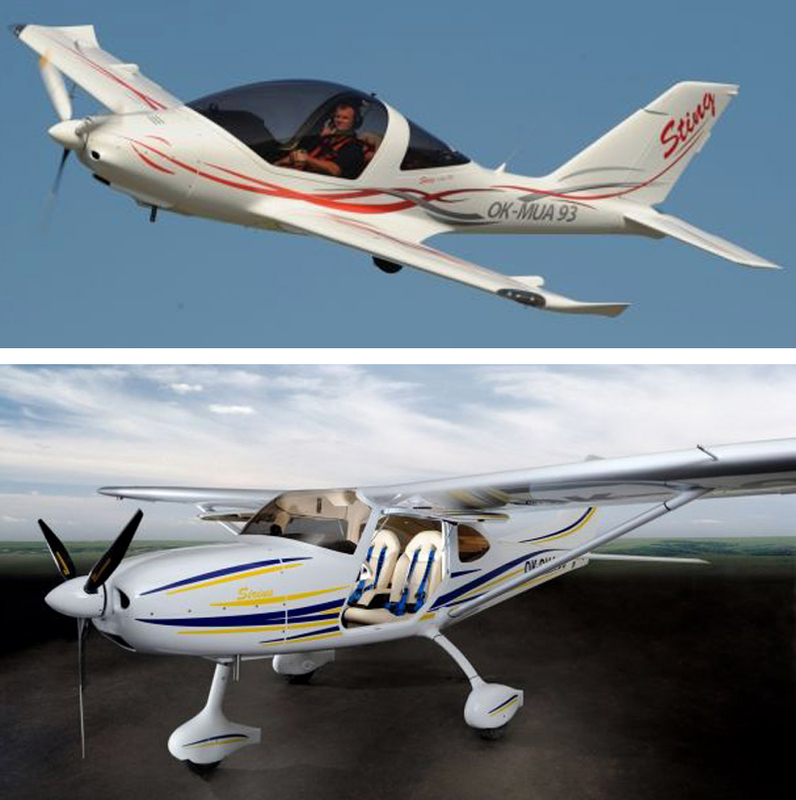 Both men were credentialed as instructor pilots. The plane went down at 1:25 p.m. Thursday near a residence in an orange grove belonging to Rancho Camulos; the crash site is directly across the street from the Rancho Camulos historic site, about 100 feet from Highway 126. The plane ended up less than 50 feet from a residence in the grove and two teenaged daughters of the ranch caretaker were outside playing with their dog when they heard and saw the plane fall from the sky. According to one of the girls, they saw the plane flying overhead and thought it was going to perform a “loop de loop” like they’d seen in movies, but instead, they heard a pop, then silence. When asked if she thought the plane’s engine went out, she said it was just “very quiet.” The plane made a hard landing on its belly. Sgt. Eric Buschow of the Ventura County Sheriff’s Department said that members of the sheriff’s bomb squad were sent to the scene to deactivate a small rocket device used to deploy a parachute in the event the aircraft experienced an emergency. Investigators from the Federal Aviation Administration were on the scene Thursday for a preliminary report; the National Transportation Safety Bureau investigators arrived Friday and will determine what caused the crash. 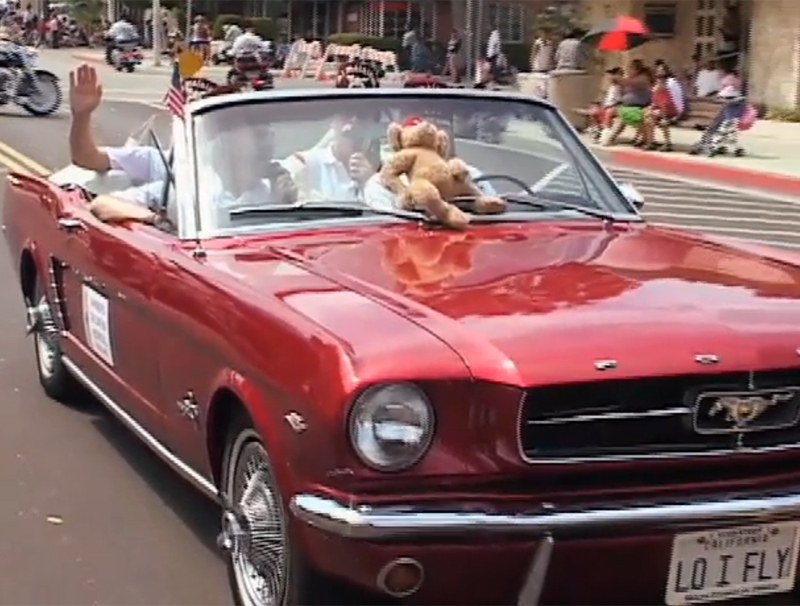 Bell lived life at its fullest, participating in this year’s Fourth of July parade, driving a dignitary in the parade with his lady friend Thelma at his side and throwing himself a birthday party last Monday and being the life of the party, harmonizing with his singing buddies in barbershop style. “His daughter who usually throws the parties was in Europe, so he said he was going to throw himself a party,” said Candy Spahr, who shared the dais with Bell when she was named Woman of the Year in 2011. “It was a beautiful celebration. All of his friends and loved ones were there with him. 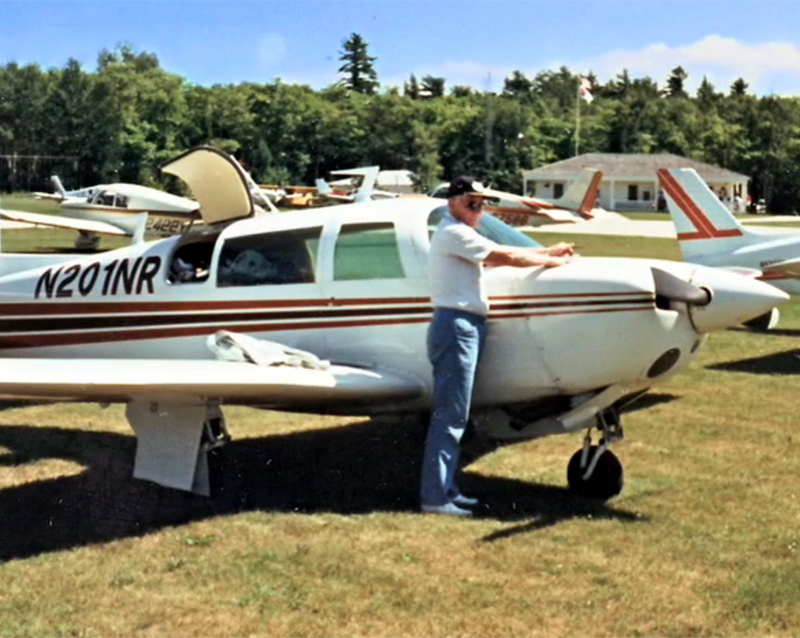 File photo: Harry Bell with one of his previous airplanes. That’s Harry, but this isn’t the TL-Ultralight Sting Sport that crashed. “I was totally shocked when I heard the news,” she continued. “He talked about his airplane at the party, it wasn’t a favorite of Thelma’s, he said he would be done with airplane soon. He was so full of life and loved flying. Michael Boolen was a commercial pilot and certified flight instructor with all the fixed-wing ratings based at Whiteman Airport in Van Nuys. He had more than 12,000 hours of flight time and more than 40 years of aviation experience. Boolen also owned an electrical engineering firm in Van Nuys and often worked as a consultant for people with aviation, electrical or contracting needs. 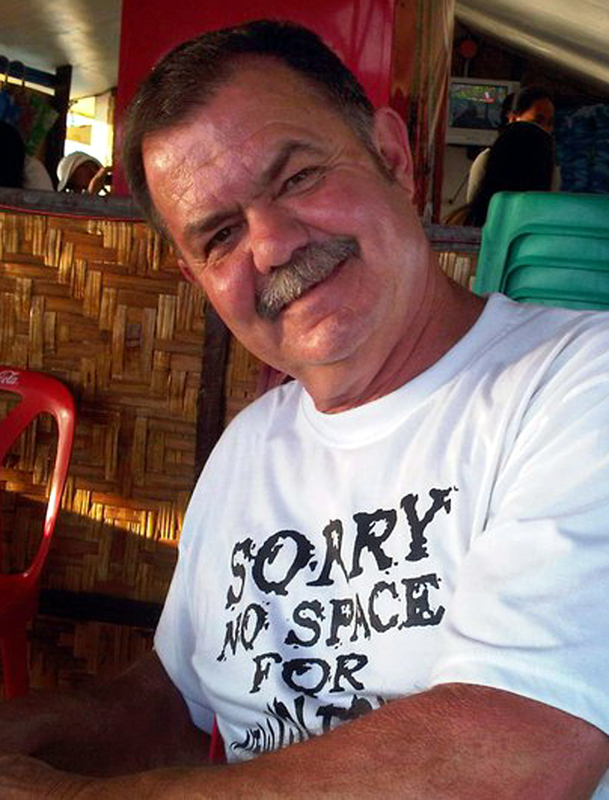 Bell has been a pillar of the community for many years and the news of his death shocked the community. Ed Bolden was Harry’s business partner, fellow Rotarian and lifelong friend. The pair met when Bell was working as a civil engineer for the County and Bolden was designing the North Oaks tract around 1961. Three years later, they formed Andel Engineering. Bell invited Bolden to join the local Rotary Club, which broke the color barrier. When the club members launched into patriotic song, Bell was always the first note; singing was one of his favorite hobbies. Harry Bell in a Newhall Fourth of July Parade with his prophetic license plate, LO I FLY. He rode in the 2012 parade the day before the crash. A Rotarian as well as a Shriner and Mason, he owns the property at the northeast corner of Main and 5th streets where the Rotary Club holds its annual July 4th pancake breakfasts. What a lovely tribute to a wonderful man! My late husband flew with him sometimes and they were also in the same barbershop singing group “The Men of Harmony”. What a tragic loss of such an amazing man! He was so proud of his new ‘plane and we would meet him at Agua Dulce Airport for their monthly barbeque.